The Betty and Barney Hill case is well documented. Betty and Barney Hill had the dubious honor of being the first really well documented case of alien abduction. However, despite the fact that so many records and details exist about this incident, there is still a number of people who find it unsatisfying. In fact, when comparing the various websites dealing with this incident, I found it interesting to note the various actions or descriptions which were part of one story, but not of another's. Even now, apparently, it is impossible to have complete agreement on precisely what the Hills said had happened to them. Which leads me to think that no matter what some people claim, even what some people produce in support of their claims, there will always be those who ready to doubt. With such an attitude, it is unlikely that 'definite proof' of alien existence will ever be found. But that's human nature, I suppose. On the night of September 19th and 20th, 1961, Betty and Barney Hill were making their way back on U.S Route 3 from a vacation in Southern Canada to their home in New England. Betty saw what she took at first to be a shooting star, until it followed them and appeared to be hovering. At some point, Barney stopped the car to investigate it and got out. He saw it and thought it might be a type of secret military aircraft. After either the first or second stop of the car (depending on which version you read), when Barney said that he saw several humanoid figures in the craft, they said that they heard a strange beeping sound as they were driving away. After that, they heard another beep and that appeared to be the end of it. So much for the bare outline! What starts me thinking about this is some of the details which came to light after the incident. Other than that report, which Barney didn't want to do and from which Betty had withheld some details, they thought very little of it. After all, they had arrived home (without noting the time difference) and had seen some lights. However, Betty and Barney Hill soon began experiencing certain effects of 'something'. For example, Betty began having nightmares, with the same dream recurring, involving her being taken aboard the craft and being examined. Having read some UFO books, Betty contacted one of the authors, retired Marine Corps Major Donald E. Keyhoe, who was also head of NICAP (National Investigating Committee on Aerial Phenomena). Betty had said that both she and Barney realized that their memories were not clear about the incident and that they were thinking of hypnosis as a way of finding out what had happened. They had no recollection at all of the 35 miles between the first 'beep' and the second one. 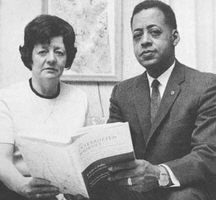 From 1961 to 1963, Betty and Barney Hill were interviewed by other members of NICAP (during which they realized at last the time difference) and also told some of their fellow church-goers about it. They also revisited the area several times in hopes of something sparking their memories. Additionally, Barney had a perfect circle of warts removed from his groin area which had appeared, and Betty had written down her dreams. Finally, in January 1964, the Hills met up with Dr Simon of Boston who began hypnosis of husband and wife separately. Hypnosis continued until June 1964. There are many details in each of the above items which both Hills mentioned. Barney appeared to have his eyes shut for a lot of the time, so some details were missing. Betty, however, appeared to have a more determined attitude towards her captors, speaking with them and asking them for information. One piece of information she asked about was where they came from. 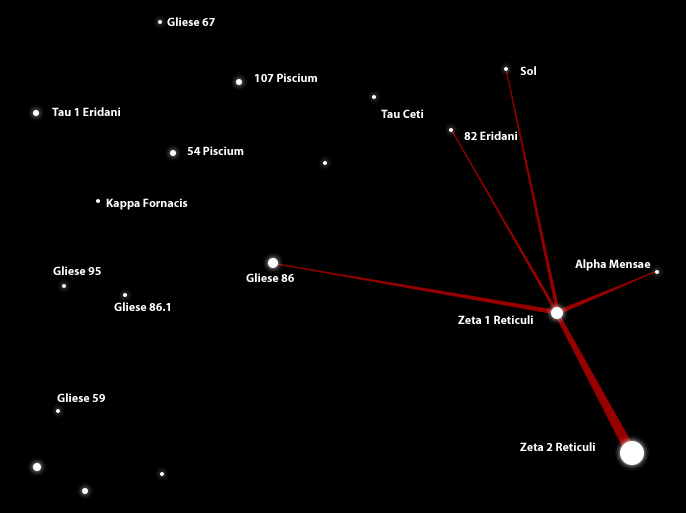 She was shown a star map with lines between some stars (supposedly showing trade and exploration routes). This map she later drew under hypnosis. It took until 1968, after publicity of the incident became widespread, before an understanding of the map came about. An amateur astronomer and teacher, Marjorie Fish, became interested in the locations indicated and spent many hours finding a match from star catalogs. Although there have been other ideas as to which system matches the map best, there is no argument that the map is of somewhere other than the Solar System's point of view. 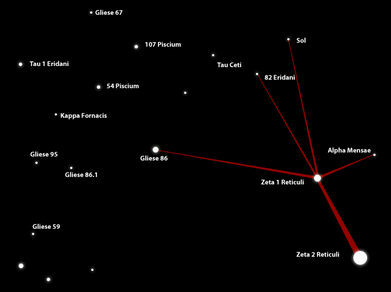 One website remarks that Ohio State University's computer program actually drew a matching map when told to position itself at Zeta Reticuli and look towards Earth. There have been several attempts to debunk this incident. However, Betty and Barney Hill never sought publicity from it, were genuinely upset by it (which the hypnosis cured) and produced remarkably similar stories when questioned separately. To me, it seems almost unreal to think that this couple could have fabricated this event (or merely had some sort of similar fantasy) and yet did not even seek any publicity from it at all. That their stories were so similar and that the report of a UFO at the time and place they reported it all, for me anyway, point to a real experience. So they are definitely important in a variety of ways!